Quasar growing under intense accretion streams. 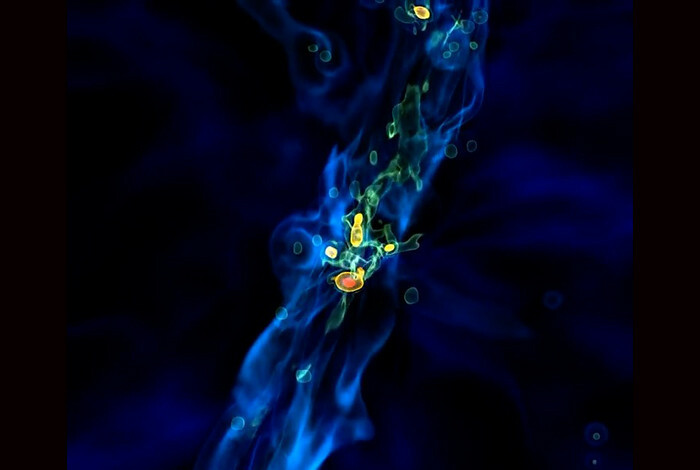 “Supermassive black holes have a speed limit that governs how fast and how large they can grow,” said Joseph Smidt. 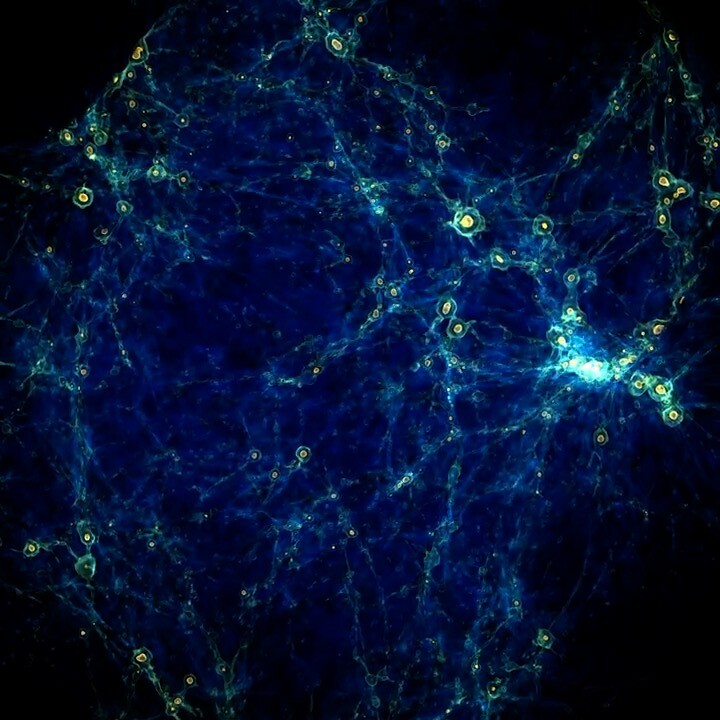 LOS ALAMOS, N.M., March 21, 2017—A new computer simulation helps explain the existence of puzzling supermassive black holes observed in the early universe. The simulation is based on a computer code used to understand the coupling of radiation and certain materials. Caption for image below: Gravitational collapse of the universe.